This project is still in the works since we did it in phases but once it is complete I’ll be sure to post the reveal photos! For the Living Room we went with the Ainsley sectional from Interior Define. 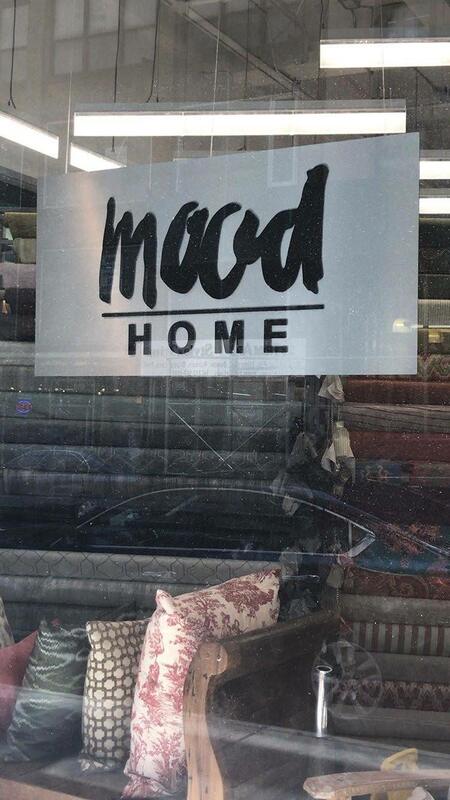 Since I sourced from this vendor regularly as a Havenly designer I was familiar with their products. After visiting the showroom with my girlfriend we changed the original sectional style and fabric selection because again when you are able see things in person rather than on line things look different. As mentioned in the past it is really important to me to visually touch and feel products after having spent the past twenty three years designing clothes on the computer. There is something to be said about visually seeing the texture, scale, color and look of a piece in person. The timing for the sectional delivery is 8-12 weeks out which is pretty standard for custom (pick your own fabric) furniture. 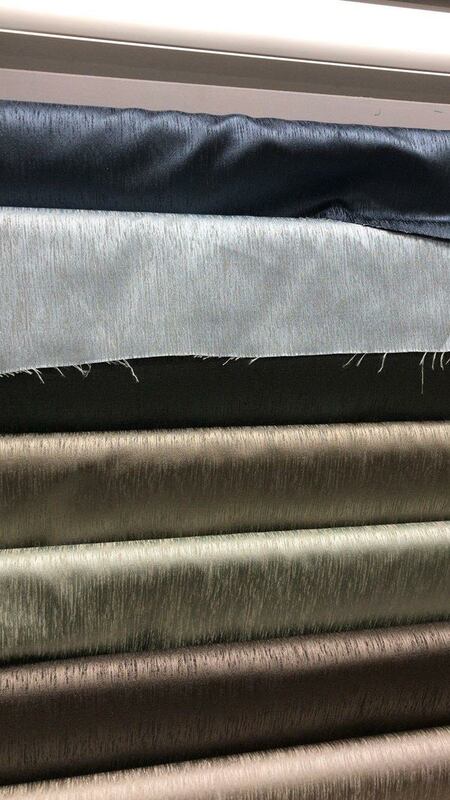 Given the timing I told the client I would also find out what the price would be on a Duralee custom sectional. I had already planned to visit the showroom to get a custom chair quote, pricing on wallpaper and the fabric I had selected for the project. Once I received the quote for everything I had to let the client know it was not in budget. 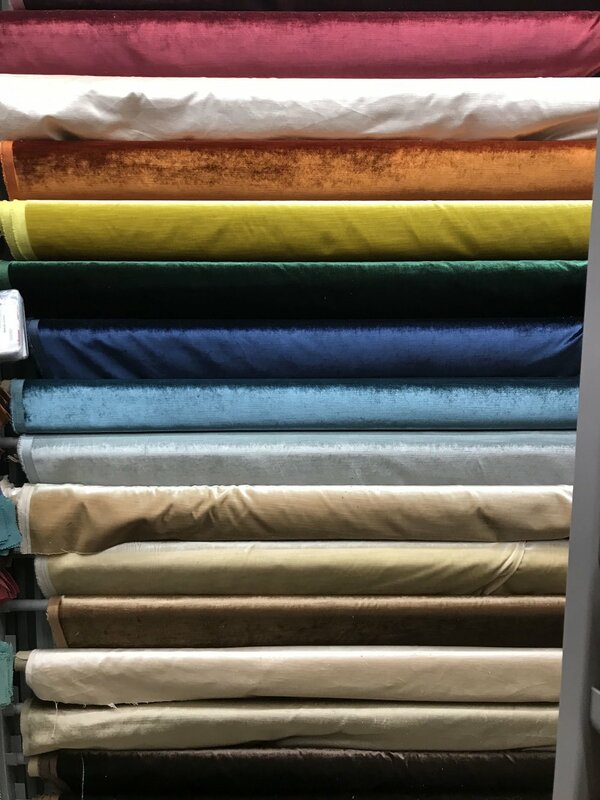 While I love the option of a custom sectional with thousands of fabrics options after receiving the quote I will reserve that for the higher end luxury client who has more disposable income in their budget. For the Dining Room my friend painted her chandelier in silver which turned out beautiful. She also painted her furniture in Annie Sloan Chalk Paint in Pure White. My girlfriend has painted and sold furniture in the past through her business Double Arrow Design so she is very experienced with the process. Once her dining chairs are painted she will recover the seat cushions in a stripe ikat pattern which the color scheme of the room was based off. For the two captain end chairs again I received a quote from Duralee but they will not be in budget either. 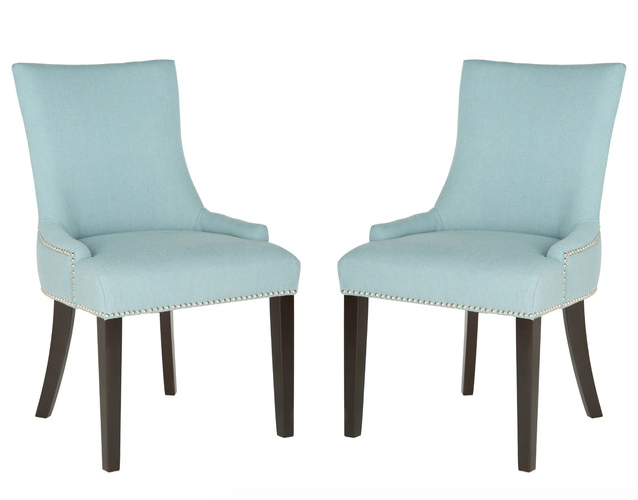 I was able to source a set of blue chairs with silver nail heads that will work within the budget. The legs on the chairs are a dark espresso so they will be painted in silver (as shown) to add a glam element. 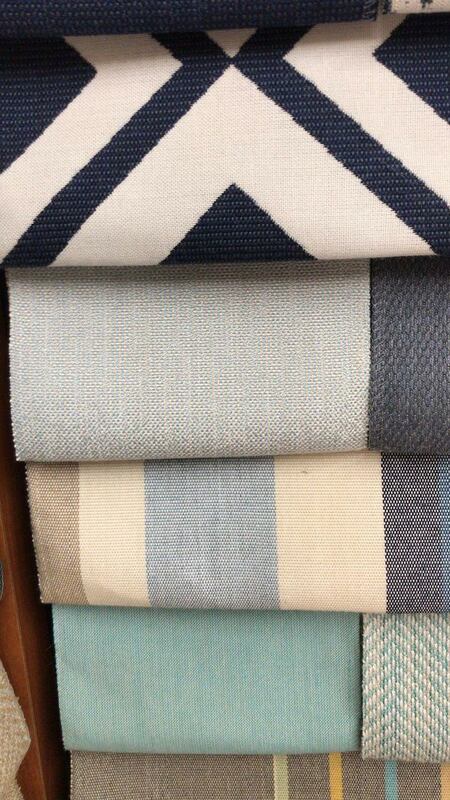 Side chair Ikat Fabric and original blue chenille fabric for the custom chair option. The price on the gorgeous grasscloth wallpaper which has a touch of shimmer for above the chair rail will work in budget which was awesome news! Here is the Sunbrella fabric that was ordered for the stools along with the nail heads and cording they have for sale at Mood. Overall this project was a lot of fun and totally changed the look and feel of the space from outdated Tuscan to updated Beach Glam. If this is a look you would like in your home be sure to reach out to us HERE .